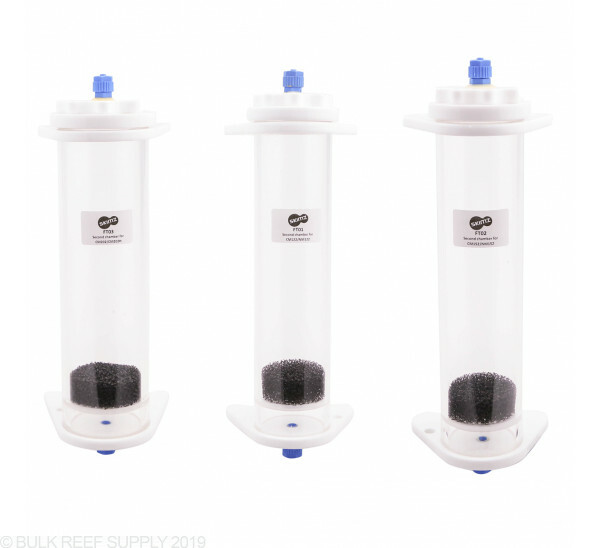 Replacement Secondary Chambers for Skimz Calcium and Nitrate reactors. If you accidentally loose, break or simply just want a back up on hand we have a full like of OE Skimz replacement parts on hand. Great product. Can be used to upgrade any single chamber calcium reactor to a dual design simply and economically. 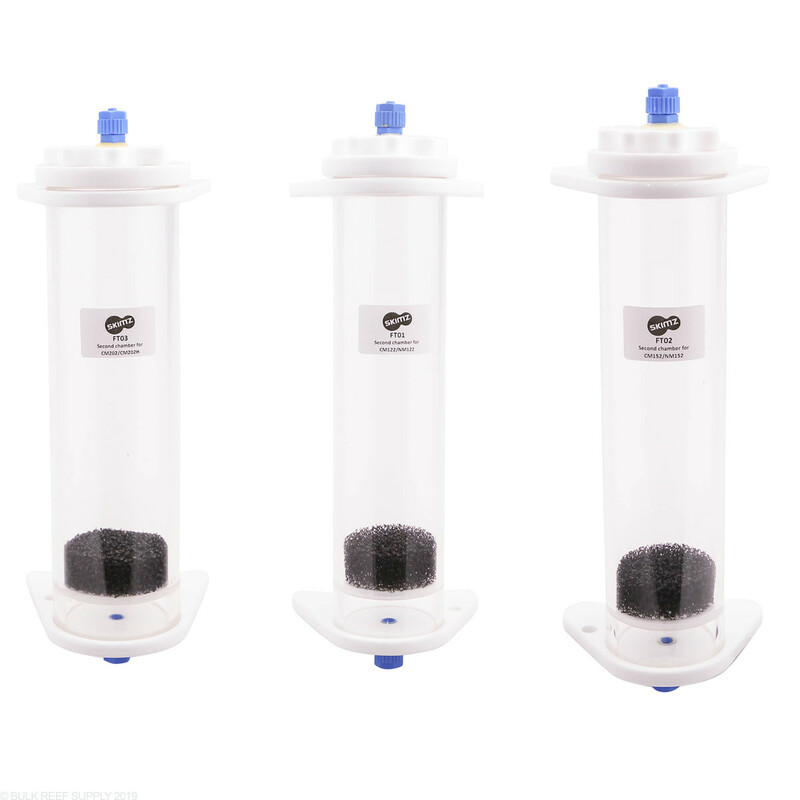 You can also use it as an economical Co2 scrubber or a low flow media chamber. Not just for calcium reactors. My only complaint is that the fittings are not the push connect John guest style and cannot be changed out. This seems to be the only weak point of the design. Other than that it is a great product easily adaptable to multiple applications. Hi! I just ordered the Skimz Internal 157 reactor for my sump. Can this secondary chamber work with that reactor? Unfortunately, this product is designed to be used with Skimz CM and NM calcium and nitrate reactors. Have a great day!